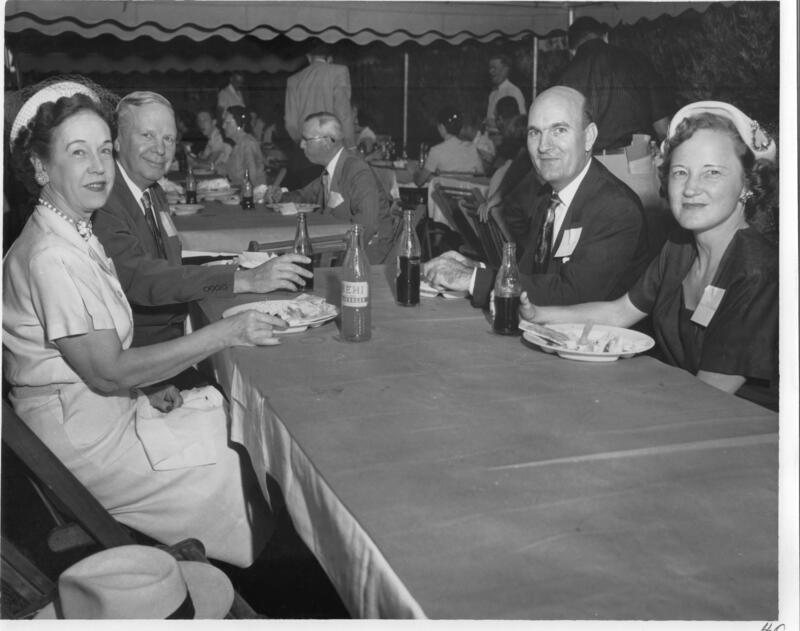 Description: Photograph of guests seated at a dining table at the Dollinger Steel fiftieth anniversary celebration. Each person has a name tag pinned to their shirt, but none can be read. Each of the guests have a plate and soda on the table in front of them. A hat is placed on the seat near the woman to the left. Other guests can be seen both standing or seated in the background. The area is covered by a tent.